(2008/ROLLERCOASTER) 22 tracks, digipac with 24-page booklet. Tommy Allsup's 1964 rocking instrumental album, 'The Buddy Holly Songbook' was recorded in Clovis, New Mexico with JI Allison on drums, Lynn Bailey on bass and George Tomsco, guitar. We have now reissued the album to tie in with Tommy recent sell-out tour of the UK and Europe with Kevin Montgomery. 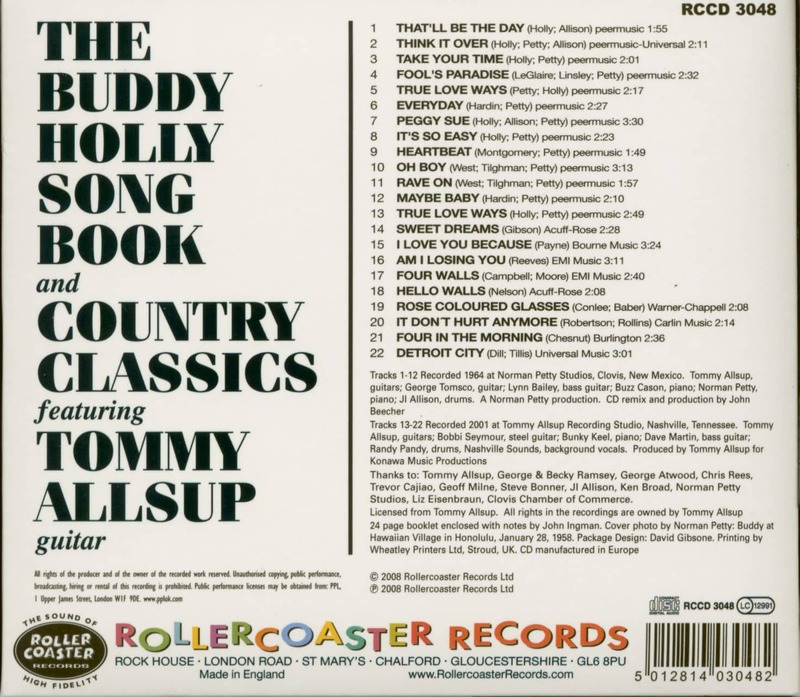 We have remixed the album and added 'Country Classics', a 2001 package that shows off Tommy's country-style guitar picking. 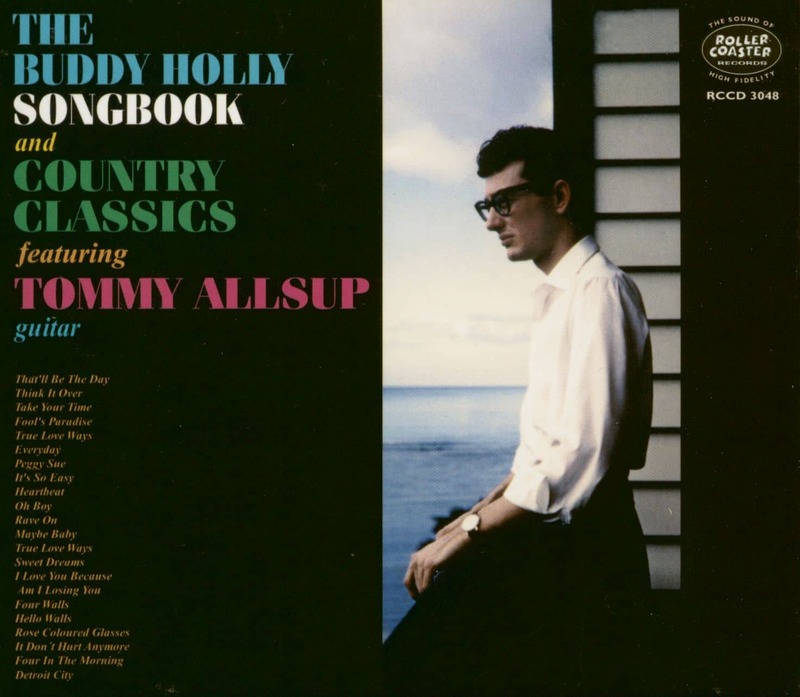 With many photographs and booklet notes by John Ingman, this album is a must for Buddy Holly fans and those who appreciate Tommy's guitar magic. Customer evaluation for "Buddy Holly Songbook...plus (CD)"